Georg Spalatin played a critical role in the Saxon court during the early days of the Reformation and was an ardent supporter of reforms throughout northern Germany. Born January 17, 1484 as Georg Burckhardt in Spalt near Nuremburg, he was the illegitimate son of a Franconian tanner. After early education in Nuremberg, he proceeded to Erfurt, where he would receive his bachelor of arts in 1499. While at Erfurt Spalatin came under the influence of the noted humanist Nikolaus Marschalk. He later followed Marschalk from Erfurt to Wittenberg, where he resumed studies in 1502. The following year, he received his bachelor’s and for the first time began using the Latinized name of his home town, Spalatinus. He would move on to the higher faculty of law in Wittenberg before returning to Erfurt the next year and continuing his legal studies there, but soon left to become a novice teacher at the Cisterician monastery in Georgenthal despite being a layman. In 1507, he took the pastorate of Hohenkirken, which he never served, but used for a source of income, and was ordained in 1508. He would later become canon of St. Geroge’s convent in Altenburg in 1511, though the dispensation required for someone of illegitimate birth such as himself was four years in the offing. Spalatin grew in status amongst Saxon humanists before eventually entering the service of Elector Frederick the Wise. He was the tutor of Frederick’s grandson, John Frederick, from 1509-1511. Subsequent to that he would tutor Frederick’s nephews and his own illegitimate son, Sabastian of Jessen, in the Wittenberg Castle. He would also become librarian of the Castle Church, which enabled him to procure humanist texts and advance the new learning. It was with his 1516 appointment to Frederick’s chancellery, however, that Spalatin’s role in the burgeoning Protestant Reformation became possible. He would serve until Frederick’s death in 1525 as the elector’s secretary, father confessor, and court chaplain and preacher. From Luther’s earliest days in Wittenberg, Spalatin sought to develop a friendship with him. Consequently, he became a close ally of the Wittenberg theologian once the controversy over indulgences began. It was Spalatin who implored Frederick to secure an interview for Luther with Cajetan rather than standing before the 1518 Diet of Augsburg. He would continue as an intermediary between Luther and Frederick during the early days of the Reformation, both mollifying Luther’s hard edges and encouraging Frederick to support Luther’s efforts. Spalatin also maintained a correspondence with Erasmus through his period, trying to convince Erasmus to accept Luther’s positions and ultimately bringing him to Wittenberg for a meeting with Frederick himself. It was not until 1523, however, that Spalatin made his definitive break with Rome. He was not a theologian by training or inclination and came to Luther’s understanding of justification slowly. Thereafter, he proved pivotal in spreading reform throughout northern Germany. When Frederick died in 1525, Spalatin assumed the pastorate in Altenburg and first brought reformation there to city and monastery. He was advisor to John the Steadfast, Frederick’s son and successor, at the momentous Diet of Speyer in 1526. At the diet, the German rulers adopted the Recess of Speyer, thereby suspending Charles V’s Edict of Worms and giving the territories the right to govern their own religious affairs until a council could rule on the theological controversy. Spalatin saw it as an opportunity for the princes to institute reform on their own and to oversee visitations for its proper implementation. He participated in the 1527 visitations of Electoral Saxony, even though he sought a far more aggressive approach to territorial church reform than did the more cautious Luther, who believed reform should come naturally through preaching and teaching. Spalatin maintained support for territorial sovereignty by later affirming the right of the princes to resist the emperor with force when he attempted to regulate religion against their wishes. Spalatin devoted the remainder of his career to reformatory efforts. 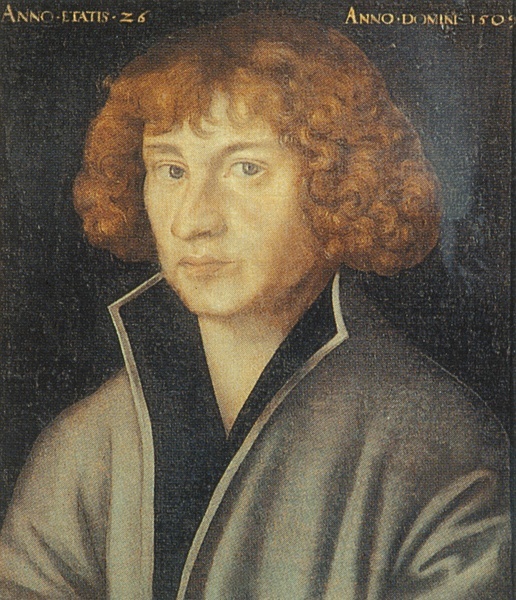 He assumed a more prominent role in the Altenbug reforms in 1528, when he became superintendent. Over the years, he would pursue adoption of Luther’s theology in various regions throughout northern Germany, such as Würrtemberg, Freiberg, Wolkenstein, and Wurzen. Spalatin also continued representing Saxony politically. He was John the Steadfast’s advisor again at the 1530 Diet of Augsburg, along with Philipp Melanchthon, before being excluded from the subsequent committee deliberations by the Roman opponents. He was later asked by John Frederick to debate an early draft of Luther’s Smalcald Articles and to attend the 1537 Schmalkalden Assembly, where Melanchthon’s Treatise on Power and Primacy of the Pope was adopted. In addition to his reformatory and diplomatic work, Spalatin left his mark on the Reformation through his translation into German of Latin works by Luther, Melanchthon, and Erasmus, as well as his historiographical studies of Ernestine Saxony. He died in Altenburg on January 16, 1545.